Turmeric is a rhizome that grows under the ground like ginger. It has a rich, bright orange color and is used in many foods. Originally used in Southeast Asia, it’s a vital component for traditional curries. You can find dried powdered turmeric in the spice aisle of just about any grocery store. Sometimes they carry the fresh rhizome too (it looks like ginger root, but smaller). Turmeric contains an amazing anti-inflammatory, antioxidant compound called “curcumin.” The amount of this bioactive compound is around 3-7% by weight of turmeric. Curcumin has been studied like crazy for its health benefits. Many of these studies test curcumin at up to 100x more than that of a traditional diet that includes turmeric. There are dozens of clinical studies using curcumin extract (which is way more concentrated than ground turmeric). Curcumin is an anti-inflammatory compound. It fights inflammation at the molecular level. 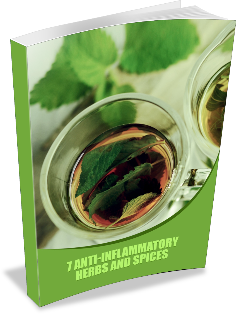 Some studies even show it can work as well as certain anti-inflammatory medications (but without the side effects). Curcumin is an antioxidant compound. It can neutralize free radicals before they wreak havoc on our biomolecules. Curcumin also boosts our natural antioxidant enzymes. These two functions of reducing inflammation and oxidation have amazing health benefits. Chronic inflammation plays a major role in so many conditions. Including heart disease, cancer, metabolic syndrome, dementia, mood disorders, arthritis pain, etc. Boosts our levels of “Brain-Derived Neurotrophic Factor” (like a natural growth hormone for your brain) which is great for brain health. Improves “endothelial” function” (the inner lining of our blood vessels) which is great for heart health. Reduces growth of cancer cells by reducing angiogenesis (growth of new blood vessels in tumors), metastasis ( the spread of cancer), and even contributes to the death of cancer cells. Do you think these make turmeric deserve the “miracle spice” title? Curcumin is not easily absorbed by your gut. For one thing, it’s fat soluble. So, as with fat-soluble nutrients (like vitamins A, D, E, and K), you can increase absorption by eating it with a fat-containing meal. The second trick to get the most out of your turmeric is eating it with pepper. Interestingly, a compound in black pepper (piperine) enhances absorption of curcumin, by a whopping 2,000%. If you want the health benefits of curcumin, you need to get a larger dose of than just eating some turmeric; this is where supplements come in. Always read the label before taking a new supplement. Turmeric is a delicious spice, and it’s “active ingredient” curcumin is a great health-booster. Curcumin has anti-inflammatory and antioxidant properties which are great to bust chronic inflammation. It also has other amazing health benefits, like brain- and heart-boosting properties, and even cancer-fighting properties. Curcumin supplements can be great for your health, but they’re not for everyone. Check the label or speak with your doctor before taking it. I want to know: What’s your favorite turmeric recipe? Try my version of “golden milk,” and let me know. Add all ingredients to a small saucepan. Whisk to combine. Warm over medium heat, whisking frequently. Heat until hot, but not boiling. Tip: You can substitute 2 cups of almond milk instead of the 1 cup coconut milk and 1 cup water.